Several Vietnam Military Veterans were at Garden Spot High School on Monday to share their war service experience with our students. 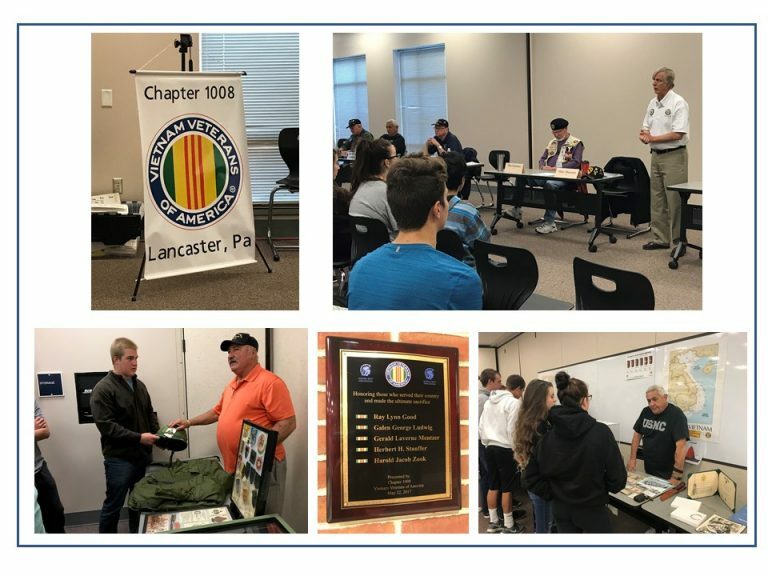 This is the fourth time that a group from the Vietnam Veterans of America Lancaster Chapter 1008 presented to our students about the war and the societal issues surrounding this time in our country’s history. This veteran’s group regularly participates in our annual ceremony that recognizes GSHS seniors who plan to serve in the military after graduation. During the last ceremony, they presented our district with a plaque that includes the names of the Garden Spot High School Students who lost their lives in the Vietnam War. Many thanks goes to GSHS Social Studies Teacher, Mark Leaman for organizing this annual event.